The First Time was a live to 2 track recording made September 4, 2000. No rehearsal, all 1st takes. 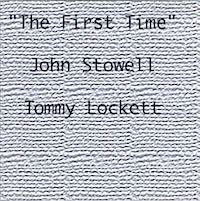 This collaboration between John Stowell and myself happened while John was down in Los Angeles doing some gigs. We decided to get together and do a little playing and this is what our get together sounded like. Anytime you get to hear John Stowell is a pleasure..